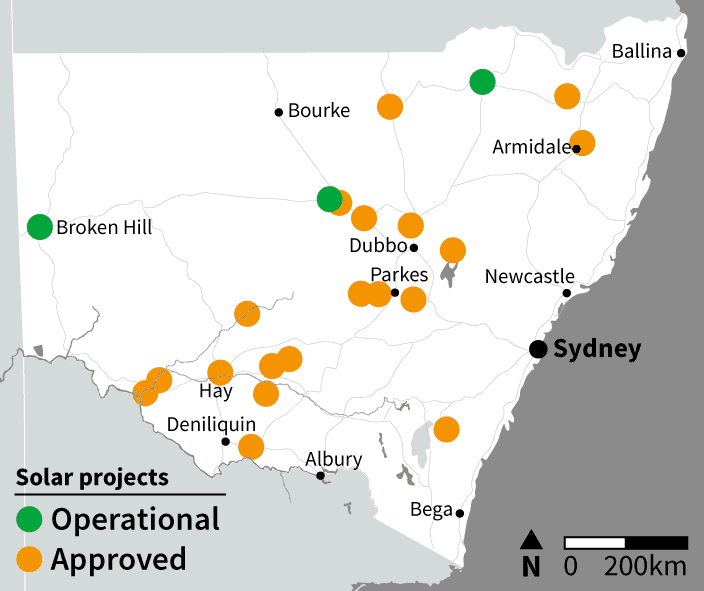 Large scale solar in NSW under the Berejiklian government is about to kick up a notch, as 11 large-scale solar energy plants have been approved in the last 12 months. 2018 is also off to a great start with the 500,000 PV solar panel, 170MW Finley Solar Project in the Riverina being approved. “These projects will ensure our energy security and with many more in the pipeline, NSW is in a stronger position than other states,” he said. Although NSW only has half the amount of rooftop solar PV as Queensland and South Australia (15% as opposed to 30%) – these figures are definitely a step in the right direction. The solar plants “collectively reduce carbon emissions by over 2.5 million tonnes, which is equivalent to taking around 800,000 cars off the road”, Roberts said. Estimates from the Smart Energy Council (an amalgam of the Australian Solar Council and the Energy Storage Council which occured late last year) project that 1.4GW of rooftop solar and 2.5-3.5GW of solar farms will be added to Australia’s solar arsenal in 2018, a massive increase from the record 1.3GW for both rooftop and solar farms that we saw in 2017. “With some of the best sunshine anywhere in the world and lots of good locations available, it is not surprising that NSW is up there with Queensland as one of the national frontrunners for new large-scale solar power projects,” Kane Thornton, chief executive of the Clean Energy Council, said. Victoria has been working on a plan for solar powered trams over the past year and it looks like the Andrews government has moved one step closer with the project – announcing plans to build two new Victorian solar farms to power Melbourne’s tram networks. If that phrase conjured up the image of a bunch of trams with solar panels on top, unfortunately not yet – but using renewable energy to power public transport is a great step forwards. We already have projects like the Valdora solar farm run by the Sunshine Coast Council to power all their energy needs so it’s very encouraging to see the public sector moving in (some semblance of) lockstep with private innovation and investment. 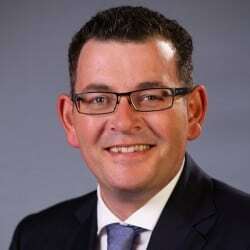 Victorian Premier Daniel Andrews announces Solar Powered Trams. Premier Daniel Andrews announced that Bannerton Solar Park and the Numurkah Solar farm have won tenders to provide renewable energy to power Melbourne’s trams, offering 100MW and 38MW respectively for the network. The $100m Bannerton project will consist of 95,000 solar panels and is expected to reach full completion by July 2018. The Numurkah Solar Farm will output 100MW via 300,000 solar panels on 500 hectares, but only 38MW of this will be going to the government. French solar plant developer Neoen (who will partner with Tesla to create the world’s largest lithium-ion battery in South Australia) will commence construction in early 2018. In January Energy, Environment and Climate Change Minister Lily D’Ambrosio advised that they would use one solar plant with 75MW of power – and that half of this would go to the tram network as 35MW was sufficient to cover the energy needs of 410 Melbourne trams. Despite opposition energy minister David Southwick decrying it at the time as a ‘media stunt’ and said Andrews’ government should be ‘fighting for the most affordable power deal for Victorians’, the government has forged ahead and have doubled down on their renewable energy plans – announcing Victoria’s Renewable Energy Targets for 2020 and 2025. Legislation introduced to Parliament (the first time RETs have been enshrined in state legislation in Australia) last week has set Victoria’s RETs (Renewable Energy Targets) to 25% at 2020 and 40% by 2025. According to the Herald Sun, they haven’t released any modelling showing what the figures are based on, but the RET will mean a cut to energy prices of $30 p.a. for an average family. The VRET legislation allows for a competitive reverse auction (i.e. the lowest bidder wins) for up to 650MW of power (enough to power Geelong, Ballarat, Bendigo and the Latrobe Valley combined) , which Clean Energy Council chief exec Kane Thornton says will ‘turbocharge’ the renewable energy industry in Victoria, calling it a ‘major step forward for communities, businesses and the state’s renewable energy industry’. Political grandstanding or a massive step forward for renewable energy in Victoria? Is it necessarily a zero-sum game? We’ll know very soon – watch this space and we’ll keep you updated on how things are going! With the first legally binding state RETs Victoria are certainly putting their money where their mouth is and doing their bit to reduce emissions and move towards a renewable energy future. Queensland based solar company Redback Technologies have teamed up with EnergyAustralia to offer a “next generation” smart solar plus storage system, named the Redback Smart Hybrid – which is slated to pay for itself within seven years. According to the Australian Financial Review, the system will utilise smart technology to optimise use of solar panels and batteries depending on usage and weather patterns. It’ll also have an app which allows users to remotely control and monitor operation of the Redback Smart Hybrid system. Estimates from EnergyAustralia say that a normal household with usage of 8000kWh / year will save around $1,500 a year with the Redback Smart Hybrid system (4.9kW solar array and 3.3kWh battery). That system would cost around $9,000, or $7,000 to retrofit to existing panels with some modifications to the inverter. One of the main bonuses of the system is that it’s modular – so customers are able to scale up if they’re interested in expanding. 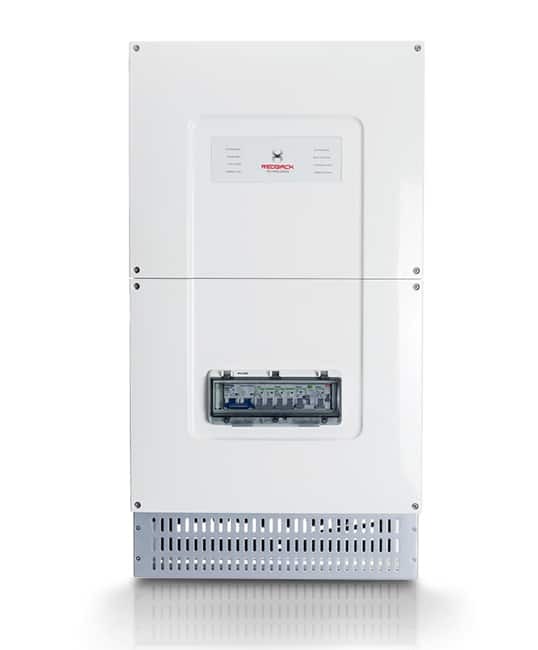 It makes use of the Redback Smart Hybrid Solar Inverter which is designed in Brisbane, and different batteries / solar panels depending on your circumstances. Kane Thornton, CEO of the Clean Energy Council called the system an example of the “game-changing” tech currently coming out to help combat rapidly rising electricity bills. Andrew Perry of Energy Australia was circumspect to the AFR about specific sales goals for the system, but did advise that they have “strong ambitions for growth”. It certainly seems like we are heading very quickly to the point where solar + storage is a no-brainer for certain types of consumer – especially with the ‘smart technology’ removing the need for spreadsheets and PhDs for those wanting to get a strong result from their solar investment. To get a system like this for under $10,000 is a great deal – we’ll be very interested to see how sales go over the coming months. Technically the Redback Smart Hybrid is just an inverter + smart energy management system, but the Smart Hybrid system being offered by EnergyAustralia is an ‘all in one’ system. In comparison to the Powerwall which is just an inverter + storage, it’s a bit difficult to compare them fairly. It is important to note that given the modular design of the Smart Hybrid, you’re able to ‘start off small’ with a 3.3kWh battery (as opposed to the Powerwall 2, which you can also add to, but only in increments of 13.4kWh) and grow from there. The PowerWall is significantly more expensive than the Redback, and doesn’t include solar panels. However, if money is less of an issue and you’re prepared to wait, the Tesla Solar Roof Australian release date is currently “early 2018” and will undoubtedly be a premium solution for those who are interested in aesthetics along with quality. It seems that both systems have their own niche depending on how much one wants to pay – but you certainly couldn’t be faulted for taking a look at the Redback Smart Hybrid price point and being impressed. If the smart tech works like they say it does, it’ll be a very powerful contender against all comers. Not having to worry about compatibility is definitely a big plus – although the battery / panels used may differ depending on your circumstances, EnergyAustralia will ensure the system fits together nicely. EnergyAustralia invested $9.3m into Redback Technologies last October – their first major investment. The two companies have been working together on various projects including back in April where they inked a memorandum of understanding (MoU) to bring Redback’s solar tech to Dubai South for a pilot project. 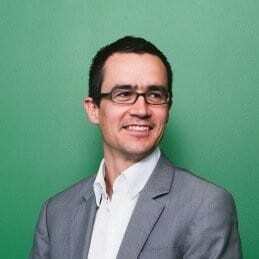 Have a look at the video below which introduces Redback Technologies, their founder and MD Philip Livingston, and explains more about their partnership with EnergyAustralia.